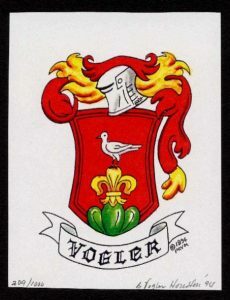 The Philip Christoph Vogler Foundation was primarily the vision of one man: Charles McKinney Vogler. After 18 years of gathering family history on his own, he decided it was time to formally begin a structured organization. The initial steering committee meeting was held in July of 1986. Gathering a group of cousins from all over North America, this newly formed Foundation focused on family education by utilizing the latest in computer technology with the express purpose of chronicling the Philipp Christoph Vogler family story. Charles’ ultimate dream was realized in 1994 with the publication of Volumes One and Two of the “Descendants of Philipp Christoph Vogler”. With this book, we have access to the American tale which began with Philip Christoph and his father, Hans Georg, crossing the Atlantic in 1742. The rest, as they say, is history. In 2017, we have now reached a time in that history that requires us to reexamine our purpose as a Foundation. We need to gather new blood and energy into this group and look to expand the mission. We will not be changing our focus, but redefining and adding to the original tenet. The knowledge of the family story, both past and future, will always be a primary focus, but we need to expand on Charles’ original intention. The Foundation’s Board of Directors discussed adding a service aspect to the group, taking a specified time each year to offer back to the communities in which we live. By opening these activities to all family members, we feel that overall participation in our organization will grow. 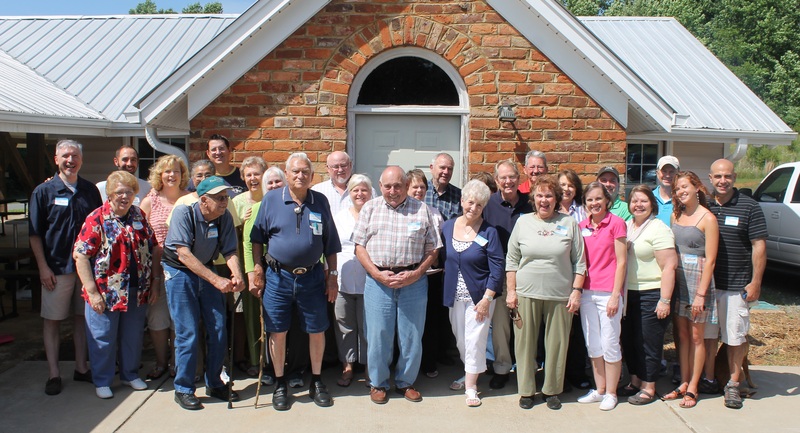 We also hope to offer a get together each year by way of a small informal social during off-reunion years. Communications with membership moving forward will be through the PCVF website, email correspondence, and other social media outlets. This world is a much smaller place with the amount of information that is in each of our hands, and we need to utilize digital data and tools to be more efficient. We realize that we may have members that require written correspondence, so we will address those as they come up. The PCVF website will be updated more often, and at this time it is linked to several of the family’s Facebook pages. These changes will take some time, as will updating our email database. The Foundation will have a central email address that all information will channel through, which should help minimize confusion about which Board member to contact. The future is exciting, and we want more family to be involved. We are currently working with one of the largest genealogical websites to aid in bringing the second phase of Charles book up to date with your help: the family tree as it presently stands. This project is in full swing, and we hope to have all the information available to everyone later this calendar year. Please send your email address to us at our email address (voglerfoundation.org at gmail.com) with “Add me to PCVF” in the subject line so that we may communicate with everyone, provide you with updates on the genealogy project we are working on, and never miss the opportunity to get together at one of the future family gatherings. Genealogical Research Chair: Jerry B. Vogler, Jr. Cemetery Chair: Jerry B. Vogler, Sr.
© 2018 Philip Christoph Vogler Foundation, Inc.